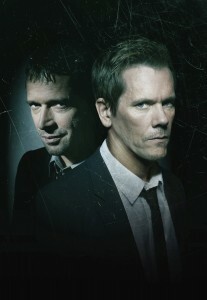 HOLLYWOOD—If you think that Kevin Bacon’s new chilling Fox drama “The Following” is his first venture into series TV, you’d be wrong. Bacon portrayed Tim Werner on the daytime soap “The Guiding Light” from 1980-1981. Q: Were you looking for a television series, and what made this the right time and the right one? Bacon: I was looking for a long time, probably three or four years. And from the moment that I made that decision, I started to read one amazing pilot after another. And I read this one and I could not put it down. I thought it was such an interesting character. And given the fast-paced, heart-pounding nature of it, it still had a lot of heart and a certain kind of sentimentality that I really responded to. Q: How do you approach Ryan in the flashback sequences versus Ryan today? Bacon: If it was a movie you could really change the hair and the make up and go for a different look. But because we’ll do a flashback scene and then go to a present scene in the course of the day, it’s almost impossible for us to really do anything. So I thought to myself, I have to make him lighter, stronger, healthier and more alive in some sort of a way. It’s really an internal thing. When I see it, I see a different kind of guy. One of the sad things about this character is that he was the most alive when he was on the trail of Joe, and he’s been like the walking dead for the last few years. Q: Do you know who the ‘followers’ are in the future? Bacon: I’ve never seen an entire bible for the series or for the whole year. So when I get a new episode and I start reading it, I’m as surprised as anybody else is. Q: What does your family think of this show? Do you let your kids watch it? Bacon: My kids are 20 and 23, so yes, they’re allowed to watch it. My daughter has seen a couple of them. She loves it. My son has not seen it. But to tell you the truth, my kids don’t really watch our stuff. People are always surprised at that. I don’t think either one of them has seen “Footloose,” it’s just not their thing. Q: When doing your research for this role, did you become more intrigued by the law enforcement procedural element or the actual real life stories of the cults? Bacon: The thing that appeals to me always is who the person is on the inside. What was my relationship with my parents like? How did I grow up? Why am I drinking so much? Why am I so enamored with Joe Carroll? Why did the FBI kick me out? What have I been doing for the 10 years between when I put him in jail and now? Q: Does this put you in a dark place? Bacon: I’m not the writer; I’m the guy that thinks about my part. 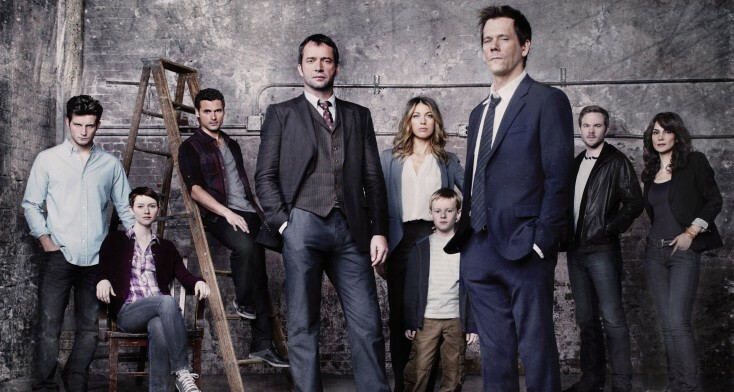 Like anybody else, I like things that are exciting and scary and I think some of the ideas plot-wise that come out of (creator Kevin Williamson’s) mind are fascinating. But it’s not my day-to-day focus. Q: Will your wife, Kyra Sedgwick, be guest starring on the show? Bacon: No, I never went on her show (“The Closer”). It’s a delicate thing, because when you’re so known as a couple you don’t want to take people out of their experience on the show. So we’ve done a few things together, but we’ve been really careful about what those things are. Q: What did she think of the script when you brought it home? Q: Was she turned off by the extreme violence in it? Bacon: No. As you know, I’ve gone a lot of dark places in my professional work. I feel very strongly that I’m not afraid of that as an actor in terms of the kinds of movies that I’ve been in, the kinds of parts that I’ve taken on. I feel like my responsibility, as an actor, is to make the characters as compelling and believable as possible. Q: Are you concerned about the violence, in general, in the work you do? Bacon: My responsibility as a human being is to do the right thing by my fellow man, to take care of my children, to raise honest, gentle and compassionate human beings. But in terms of my work, I’ll go anyplace.